You need to create a blog for your business immediately if you don’t have one. Nowadays, simply having a static website doesn’t cut it anymore. 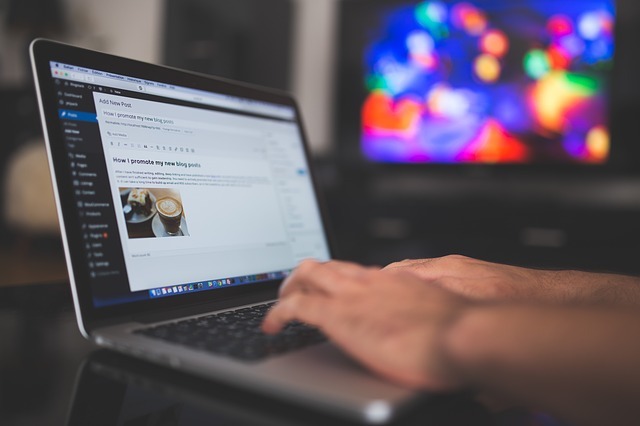 Check out any credible blogging statistics and you’ll be amazed at just how much blogging has become powerful when it comes to marketing. A great blog establishes you as an authority and helps you to get more leads and sales. Register a domain name: If you already have an existing business website, you can install your blog in your existing site. If you don’t, start by registering your domain name. You can use your business name or a name that will show your readers what you’ll be covering on your blog. Host your blog: Choose a reputable web host and host your blog. A good host should have great features for your business needs at the right price. Compare some of the top hosts and choose the one you find best. Install WordPress and relevant plugins: WordPress is the current best blogging software. Install it in a few clicks through tutorials found on your web host. Plugins are codes that add specific functionalities to your blog. Some of the best plugins to start with include: a security plugin, SEO plugin, an antispam plugin and a social media plugin. Get a premium or custom theme: There are many free themes, but for your business to stand out, it’s best to get a premium theme. If you have a good budget, you can eventually get a custom theme specifically built for your blog. Read more on setting up a blog in the optimal way. Problems that are experienced by your potential buyers and how to solve them. Some of the solutions here could include buying your products. Surveys, polls or stats and how they’re relevant to your audience: Whenever new statistics come out, your audience may want to know how exactly they’ll be affected. 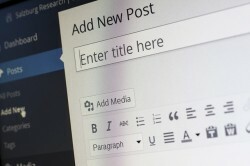 You can create strong posts that decipher the stats. Help them to see how those stats will affect their day to day lives. Industry new: Great news will excite your readers. Bad news may dampen them; however, you can give them solutions within your posts. Once again, solutions may involve buying your products. Product features and solutions: Your potential and existing customers will always want to know how to better use your products. You can have posts in your blog that clearly give such information. You can also announce product launches or major changes through your blog. Read more on how to choose blogging topics. Search engine optimization: This is where you make sure your site is configured in a way that it can get the most out of search engine traffic. When well done, it can give you a consistent flow of customers. Search engine marketing: You can create search engine ads to improve your reach and give you even more relevant search engine traffic. Social media marketing: Combine the use of normal social media posts and social media ads. With billions of active people on social media every day, proper social media marketing can push droves of quality traffic your way. Influencer Marketing: Reach out to industry influencers. These can be top bloggers, public figures or even famous people on social media. Their recommendations are highly valued by many. They can create a buzz about your blog and get you instant traffic and conversions. Video marketing: Many people consume content through video. Cisco predicts that by 2020, 75 percent of mobile traffic will be in form of videos. Therefore video marketing can no longer be ignored. Offline marketing: Depending on what your business does, you can promote your blog through any offline marketing campaigns you may be conducting. There is a lot to promotion. Always keep tabs with the latest ways of promoting your blog. Do what works best in your industry. With such an organized and meticulous strategy, your blog can help you build a thriving business online. Do not just create a blog because other people are doing it. Create a top-notch blog that will help you get droves of leads and sales. With the help of the right tools, it will eventually become such a fun way of marketing and selling.